Shop @ Jewel Corner to get up to 100% value back! Limited period offer! T&C apply. 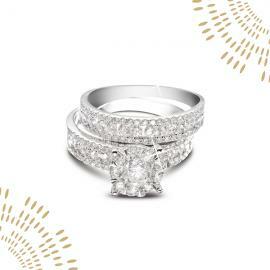 Mother's Day diamond jewellery offer. 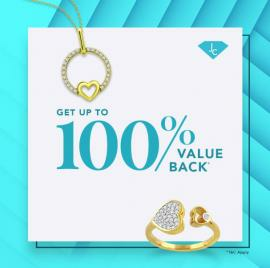 Shop @ Jewel Corner to get up to 100% value back! Limited period offer! T&C apply. 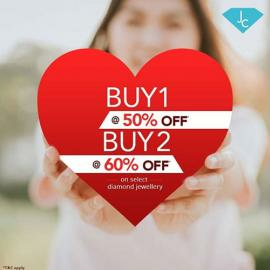 Jewel Corner - Valentine's special offer. 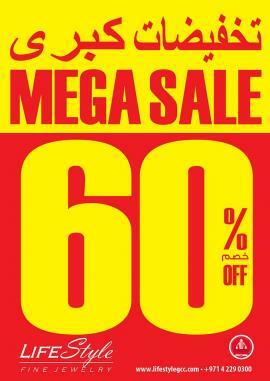 Get 50% off when you buy 1 & 60% off when you buy 2. 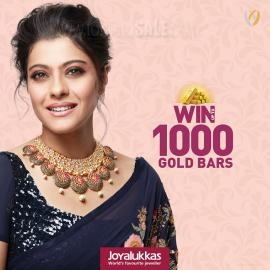 Offer valid on select diamond jewellery till 28th February 2019. T&C apply. 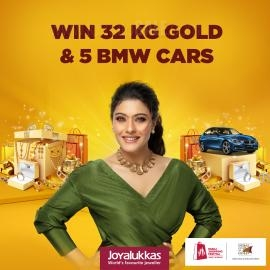 Celebrate this festive season with Joyalukkas. 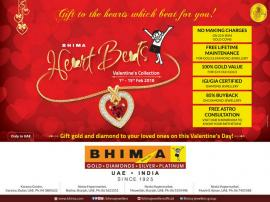 'Season of Giving' special jewellery collection. 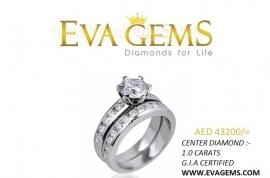 Eva Gems - AED 43200. Center Diamond. 1.0 carats. G.I.A certified. Liali Jewellery - Gold Bracelet: 18K Gold Charming Bracelet featuring fun charms and trinkets, starting at AED 1025. 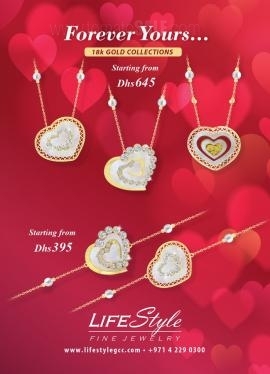 Liali Jewellery - Liali Love Bands now available at a reduced price of AED 5900. 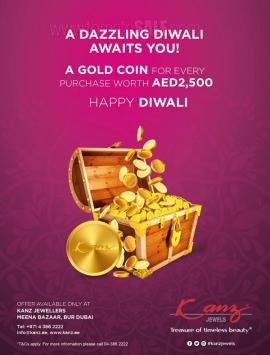 A Gold Coin for every purchase worth AED 2,500. 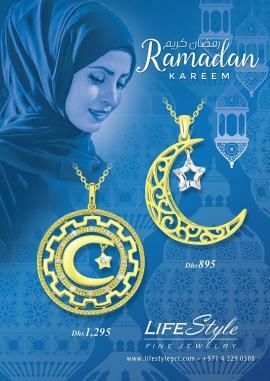 Offer available only at Kanz Jewellers, Meena Bazaar, Bur Dubai. T&C apply. 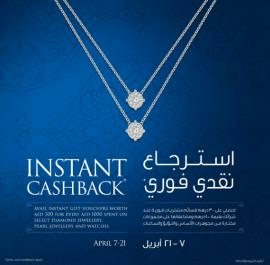 Jewel Corner - Buy 1 Get 1 FREE offer on select diamond jewellery starting from AED 499. *T&C apply. 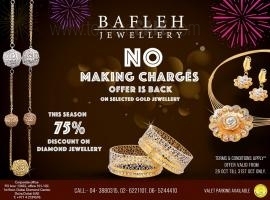 Bafleh Jewellery - NO MAKING CHARGES OFFER IS BACK on selected gold jewellery. 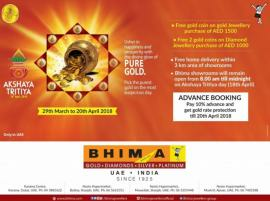 Offer is valid till 31st October only. Now with Reduced Price... Diamond Bracelets starting from 890/- Dhs only. 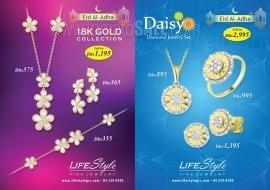 Gold Jewellery starting from 100/- Dhs only. 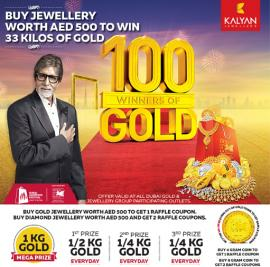 Valid at Bafleh Jewellery, Bur Dubai. 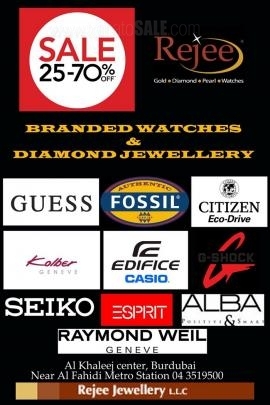 Pandora - Part Sale 50% off on selected items. 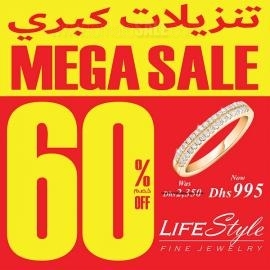 TomatoSALE brings to you list of information about all the offers, deals, discounts, sale running in various Jewelry across Dubai, Abu Dhabi, Sharjah and all over UAE. Find offers for exquisite jewelry through TomatoSALE. Get an idea about upcoming and current deals, offers, sale & discounts in all stores & malls in Dubai, Abu Dhabi, Sharjah and all over UAE. Check our offers to buy latest jewelry at most affordable prices and save money. 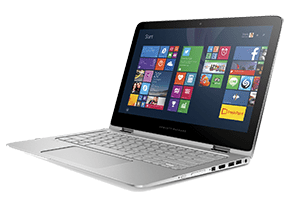 Choose deals for various brands and make a smart purchase. 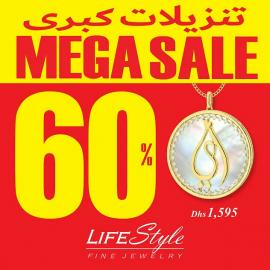 TomatoSALE brings to you the most awesome sales and deals of the year for jewelry. Now look for offers to buy gold, diamonds, platinum, silver, pearls & other precious and semi-precious stones at rock bottom prices. Go for pocket friendly deals for earrings, pendants, rings, bracelets, cufflinks, brooches, bespoke buttons, hair accessories and more. Get the latest designs, quality and best prices through offer listings in TomatoSALE. Get listings of flat rate discounts, exchange offers and more on TomatoSALE. One destination for all shopping offers for malls, stores, shopping centers anywhere in Dubai, Abu Dhabi, Sharjah and all over UAE.